Home/Get Treatment/Medications/Abilify medication for bipolar? Abilify medication is also known by the name of its generic version, aripiprazole. This bipolar drug is generally regarded as having strong anti-manic properties so is most appropriate for treating manic episodes in bipolar disorder. or mixed episodes in bipolar disorder. There is also some research showing Abilify to be effective as a bipolar disorder maintenance therapy, either on its own or in conjunction with a mood stabilizer (e.g. lithium). It is in the treatment of bipolar depression where the evidence is weak and contradictory. Note that Abilify is NOT FDA approved for treating bipolar depression. It’s main role as a bipolar medication is in treating manic symptoms, especially irritability and agitation. Abilify is a drug manufactured by US company Bristol-Myers Squibb. It is what is known as a second generation anti-psychotic. An anti-psychotic is a tranquilizing medication which reduces psychotic symptoms and enables the patient to think and behave more rationally. “Second generation” anti-psychotics are also described as “atypical anti-psychotics”. These are medications developed since the 1990s which have been shown to be more effective and have fewer side effects than traditional anti-psychotics such as Thorazine. Adult and child bipolar mania. As an add-on medication for major depression. Agitation associated with schizophrenia or bipolar mania. CAUTIONS: NOT to be used to treat older adult patients who have dementia. 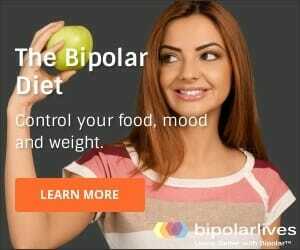 A better choice may be Latuda as it is not only less likely to lead to weight gain, but is actually a more effective treatment for bipolar disorder and is especially valuable in that it is FDA approved for the treatment of bipolar depression. but abilify and latuda are for two different things. bipolar mania and bipolar depression. so how could that be a good alternative?